By Clemente Lisi – NEW YORK, NY (Jan 14, 2013) US Soccer Players – Chris Wondolowski happily signed autographs for fans inside a tent during last month’s MLS Cup Final outside The Home Depot Center. Fans dressed in Los Angeles Galaxy and Houston Dynamo jerseys lined up for over an hour before the game to get Wondolowski’s signature and pose for a photo. Wondolowski was more than happy to attend the League’s championship match on December 1st – even though he was coming off a season where he and his San Jose Earthquakes teammates could have easily been in the locker room getting ready for the title game rather than the parking lot hanging out with fans. Instead, San Jose lost to the Galaxy in the conference semifinals. Wondolowski is right. The Galaxy, the eventual MLS champions, had not come off a great regular season. Wondolowski’s team, the Earthquakes, won the Supporters Shield after compiling a regular-season record of 19-6-9. By comparison, the Galaxy finished in fourth-place in the Western Conference with a 16-12-6 record. On a personal note, Wondolowski scored 27 goals in 2012 – tying Roy Lassiter’s 16-year record for the most strikes in a single MLS season – en route to winning the Golden Ball as top scorer and League MVP. “It was a big honor for me to finish at the top ahead of so many great players in this League,” he said of his season total. Wondolowski, 29, had his breakout season in 2010 when he scored 18 goals in 26 games to win the Golden Boot. He followed that up with 16 goals in 30 games in 2011. Add that to his 2012 numbers and that gives Wondolowski 59 goals over three seasons, a truly exceptional stat and the most-ever over a span of three seasons for a player in League history. However, Wondo, as he is widely known, said winning the Castrol Index Player of the Year in 2011 was one of his biggest personal achievements. That year, he beat the likes of Dwayne De Rosario and Thierry Henry for the prize. What makes that different is the procedure, including not only goals but also the goal scoring situation along with minutes played and other metrics into consideration. Six weeks after the Major League Soccer’s finale, Wondo is back in Carson, this time to train with the National Team ahead of its World Cup Qualifier against Honduras in the Hexagonal opener on February 6th in San Pedro Sula. It’s hard to believe, but Wondolowski’s first cap came just two years ago against Chile following a three-week training camp at the HDC. Over two years, Wondolowski has recorded just eight caps, but hopes to be a bigger part of the National Team picture going forward. 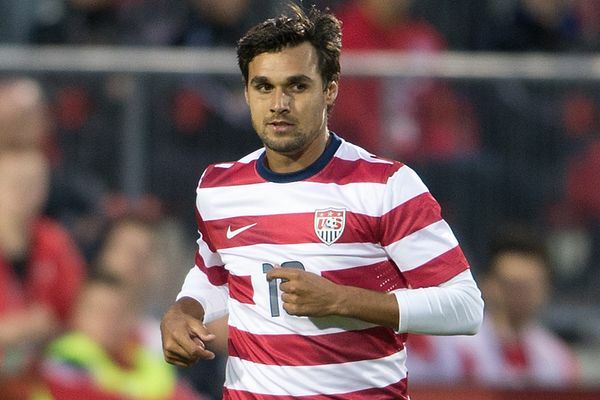 Wondolowski admitted that Landon Donovan’s absence will be a loss for the team. As for the upcoming MLS season, like many MLS fans, he’s also thinking about what happens in the first season without marquee player David Beckham. “This League has grown over the years. I think Beckham has done a lot for this League and I really feel that it will only continue to grow,” he said. For both club and country, Wondolowski said his goal, as always, is to score. He is still looking for his first National Team goal when the USA takes on Canada in a friendly on January 29th at BBVA Compass Stadium in Houston.